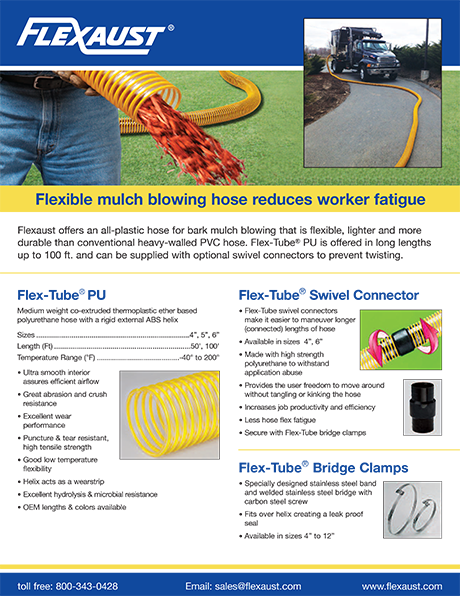 Flexaust offers a flexible polyurethane hose that provides a lightweight alternative to conventional heavier hoses used in long lengths for bark mulch blowing applications. 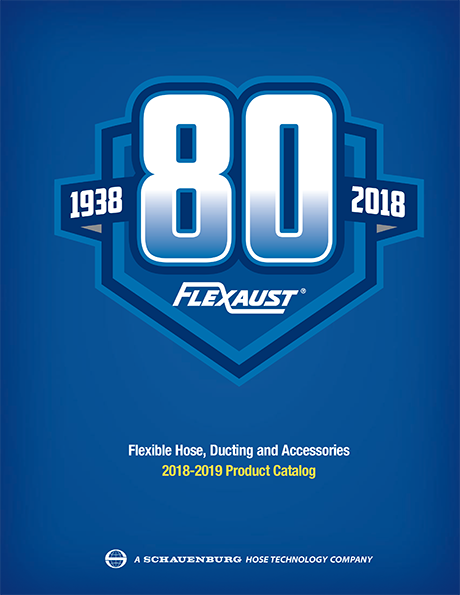 Flex-Tube® PU Outdoor Transfer Hose is a co-extruded all plastic hose that features urethane construction with a smooth interior and a drag-resistant spiral ABS helix wear strip. 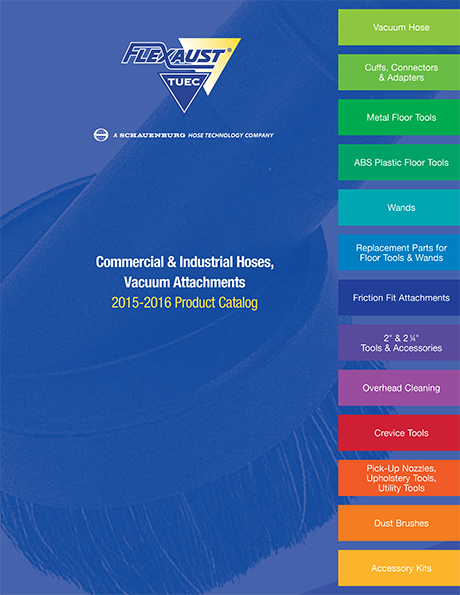 Easier for workers to handle in long lengths than conventional hose, it is 80% lighter (4” hose is 0.75 lbs./ft.) and 33% more flexible (6” CL bend radius), making it ideal for blowing bark mulch. Available in standard 4”, 5” and 6” I.D. 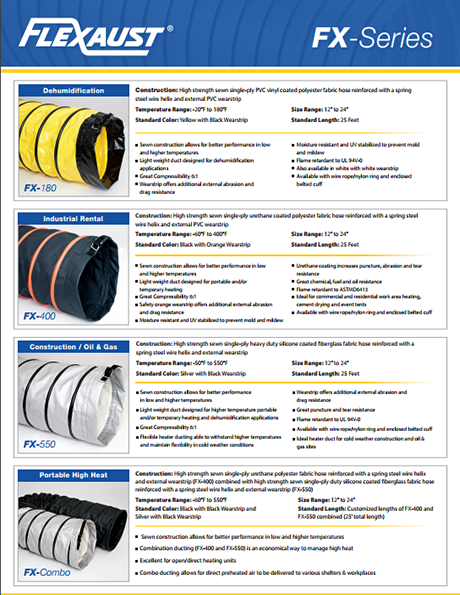 sizes and 50’, 75’ and 100’ lengths, Flex-Tube® PU Outdoor Transfer Hose is clear with a yellow helix. 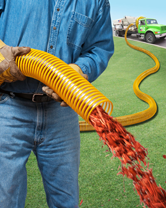 Operating over a -40°F to 200°F range, this urethane bark mulch blowing hose remains flexible in colder temperatures for early spring and late fall clean-ups. OEM color matching of the wear strip and cuffs are optional. 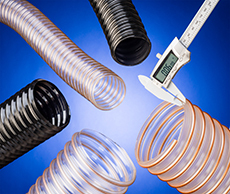 Flex-Tube® PU Outdoor Transfer Hose is priced according to size and quantity. Price quotations and samples are available upon request.